The aim of this study was to retrospectively describe the genetic testing motives and experiences of women with a previous breast and/or ovarian cancer diagnosis, who received negative BRCA1/2 results including variants of unknown significance and no pathogenic variant detected. One hundred and thirteen women (mean age 56.17 years) were recruited from a familial cancer centre in metropolitan Australia, an average 3.4 years after undergoing testing. Participants completed a self-report questionnaire focusing on the retrospective experience of and motives for undergoing BRCA1/2 testing. The study found that the primary motives for undergoing BRCA1/2 testing were (a) to know more about whether their cancer was hereditary, and (b) to have more certainty about the risk of their children developing cancer. In terms of perceptions of personal risk, 35% of women perceived that their risk of breast cancer to be the same or lower than the general population and 80% believed the negative test result to mean that a risk-conferring gene had not been detected. Yet, the average estimate of the likelihood that their cancer was hereditary was 48 out of a possible 100. Psychologically, women did not interpret the negative BRCA1/2 result as a positive outcome. Half were not relieved by the result and were as or more worried than before. Psychological morbidity was high with 17%, 100%, and 36% experiencing clinically significant depression, anxiety, and cancer-specific distress, respectively. 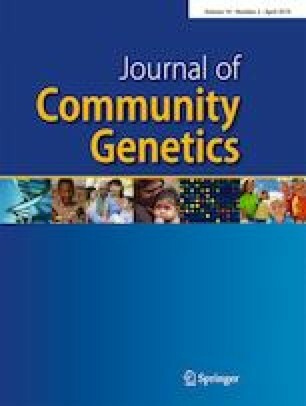 Self-ratings of the likelihood that their cancer was hereditary were more closely associated with their personal family cancer histories than with measures of psychological distress. These results have implications for adherence to risk-reducing behaviours and quality of life. Given that these women are not routinely followed up in clinical practice, these findings highlight the importance of post-test genetic counselling and longer-term follow-up for women with negative BRCA1/2 results. Additional time and emotional support from genetic counsellors may help this group of women make sense of the meaning of their test result and adjust psychologically, particularly to uncertainty around the cause of their family history. The authors confirm that this manuscript has been submitted solely to this journal and has not been published elsewhere. The authors thank Dr. Michael Bogwitz for assistance with data retrieval, Ms. Michelle Sinclair for assistance with data cleaning; and Dr. Ruth Little for assistance with data retrieval and proofreading. The Collier Charitable Trust gave generous contribution towards funding this work. All procedures followed were in accordance with the ethical standards of the responsible committee on human experimentation (institutional and national) and with the Helsinki Declaration of 1975, as revised in 2000. Informed consent was obtained from all participants included in the study.